In August my husband and I had the pleasure of using "See Orkney" with Lorna Broon as our guide for our trip to the Orkneys. Without hesitation, we would recommend her highly. From the initial contact via her web site to her dropping us off at the ferry, Lorna was the consummate professional. Lorna was responsive to our request for information, helpful in designing a schedule tailored to our interests, sensitive to our limited time, and accommodating and helpful throughout. We were greeted promptly at the ferry and chauffeured in her immaculate mini van. She is warm and friendly and we immediately felt comfortable with her. As a native of the Orkney Islands, Lorna has not only knowledge of the local sights, but possesses a deep understanding of the history of the Orkneys. Lorna's knowledge of the local happenings and schedules was impressive, and because of that, we were able to take in several things that were not on our original list of places to see but which wound up being a highlight of our time on the island. This is not a "packaged" tour. 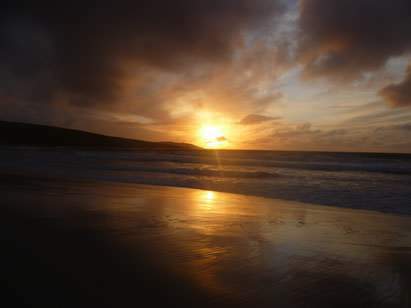 Lorna custom-designs an Orkney experience that gives you precisely what you want; if you are not sure what you want, she has plenty of ideas for you! If you are planning a trip to the Orkneys and want a friendly, reliable, knowledgable and professional guide, Lorna with "See Orkney", is a wonderful choice. 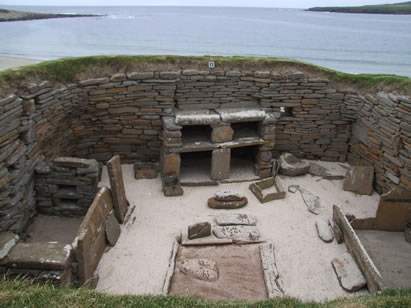 Our party of four used “See Orkney” and was thrilled with our experience. We had the daughters, Alice and Carrie, as our guide and driver. We were very pleased with the tour. It was a great place to visit and our guides were both friendly and knowledgeable. Would highly recommend them and Lorna if you are ever in the area. If we ever get a chance to return to Orkney, I can assure you that we would definitely use “See Orkney” again. They were “First Class”! 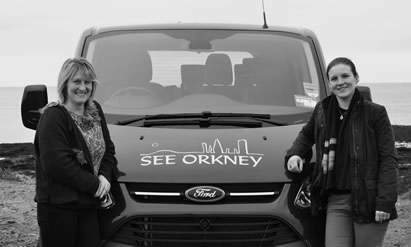 My partner and I recently travelled to the Orkney Islands where we hired Lorna as our guide for the weekend. We could not have made a better decision. Lorna was extremely knowledgable about the history of Orkney and willing to answer whatever questions were on our mind. She went out of her way to take us wherever we wanted to go (in the time available) and provided excellent suggestions on the best places to eat and shop in Kirkwall. I could not recommend Lorna and her team highly enough – she was everything you could want in a guide and more!